~My Broken Eggshells~: Weighttraining.com And Blogilates! I know this isn't the kind of post I usually do since my blog is centered around beauty/fashion, but I am really excited with what I won and want to share it with you guys! A lot of you might not know this about me, but I am kinda a sports/exercise lover. (Especially running!) Back in 2011, I discovered Pop Pilates and since then, I have been hooked to her videos! Late last summer, I competed in a challenge presented by Cassey Ho ( from Pop Pilates ) on the website Weighttraining.com. 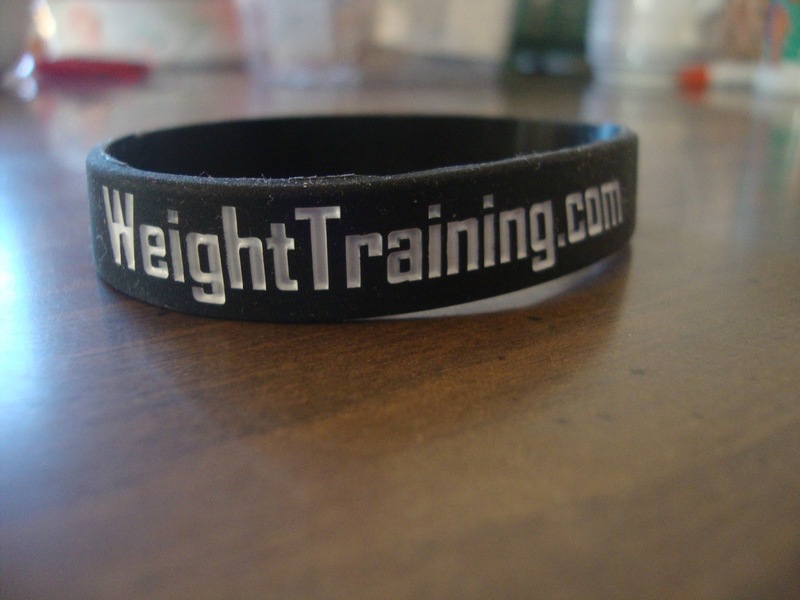 Weighttraining.com is an amazing website that allows users to track their daily workouts. 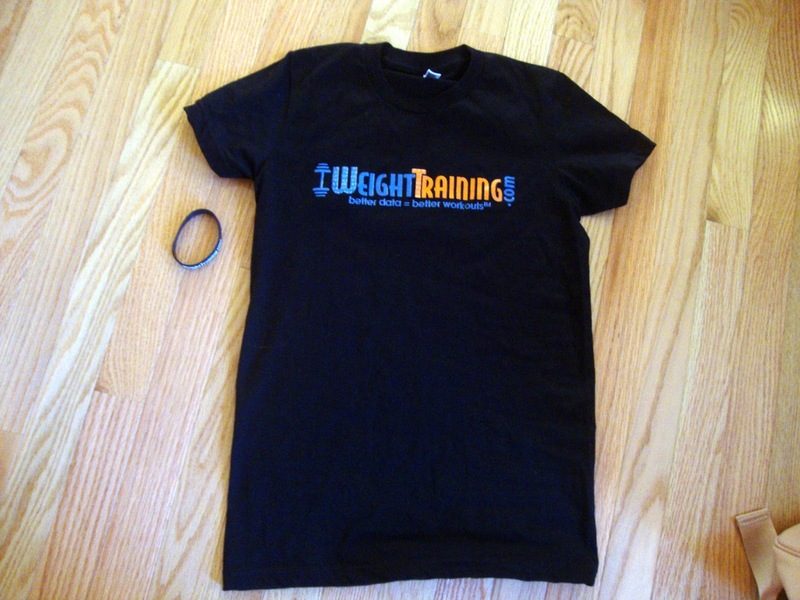 It is kinda of like a community of people working towards their own personal fitness goals. You can give people "high fives" as encouragement as well as participate in challenges. The challenge I competed in was one where you had to do Pilates burpees. There was 1 winner randomly chosen each day and then a grand prize winner for the person who got the most likes on their page! And guess who won that.... ME!! 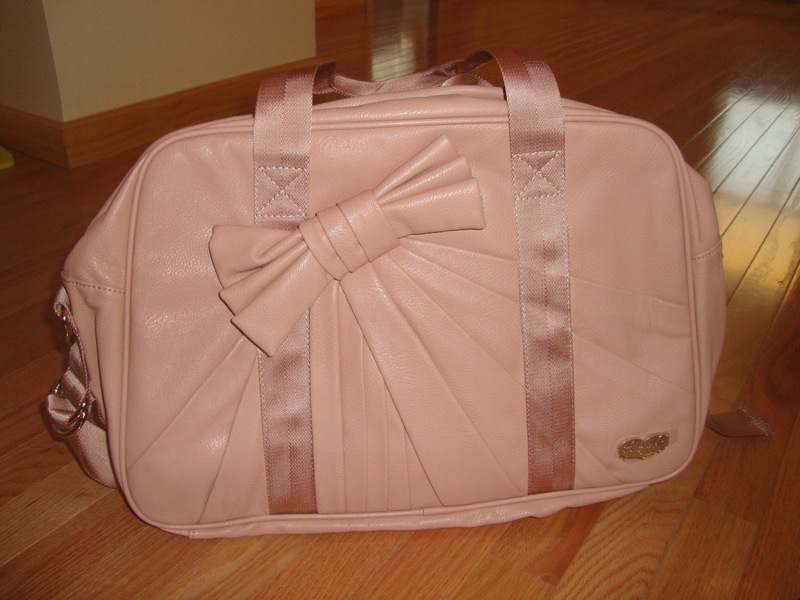 And an Ogorgeous gym bag!! I have had my eye on this bag for the longest time and when I saw that I finally had the chance to win one, I busted myself to try and get it! I am in love with it!! For some reason, upper body strength is impossible for me to build, but I do have quite the leg muscle due to running. Are you guys into Pilates or weight lifting? What is your favorite form of exercise? I love both Pilates and weight lifting, but running has to be my favorite! Call me crazy, but I love getting that Runners "High!" i'm in love with the tank top and the gym bag :)) well, i'm not really into exercising though. but i love to dance! haha a great way to stay fit :D drop by my blog too dear? Thank you! The bag is my favorite!! Dance is a great way to exercise. I love dancing to Kpop haha. Oww so happy you won! Congrats! Thanks!! I am super excited too! Thank you so much! Swimming is a really good workout! I would do it more often, but I kinda have a slight fear of water! Congrats on your win! And this site sounds great, maybe I'll check it out(: I've been wanting to start working out but I can't seem to find the motivation. thank you! i hope you had fun on your vacation and the site is pretty nice for motivation! Yay congratulations :). Love blogilates!!!! ty hun for ur lovely comment, followed u on gfc name Good taste of life !!! Thanks! 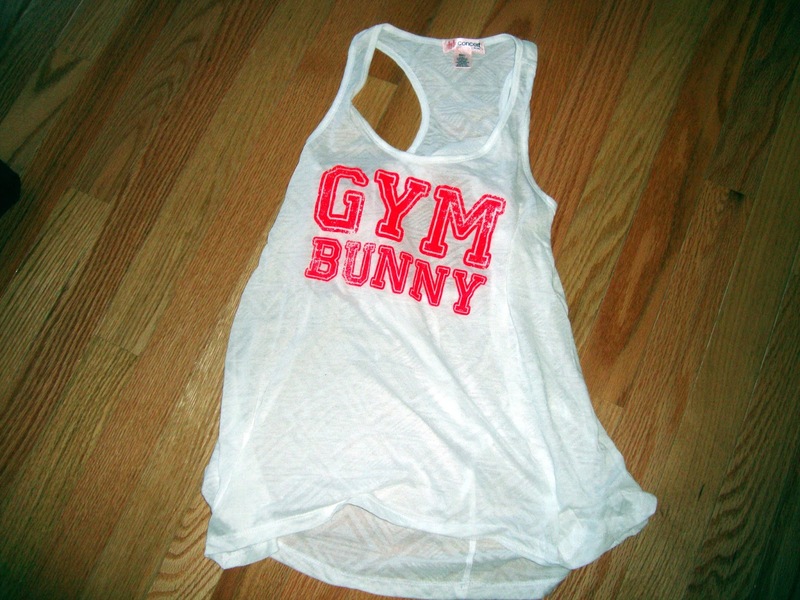 The bunny shirt is so cute and fun! Thank you so much! I want more arm muscle too! Love the bag! Such a great idea the website has! yup!! It is a good idea! thank you! I love the bow too! hey thanks for following ..followed ya back:) keep posting!! Have fun working out! It is definetly worth the result! haha! It all adds up! haha thanks! I get lazy too!! Lovely clothes and Pilates ! 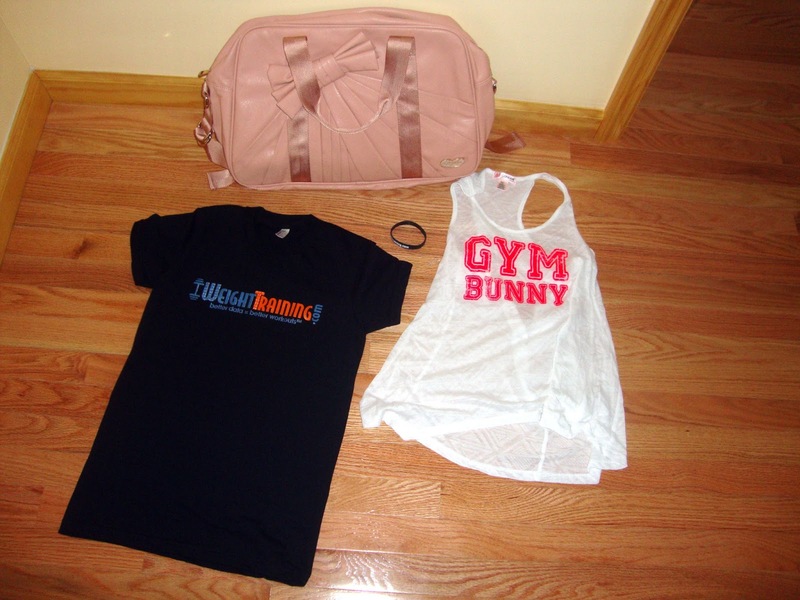 How lucky, love the gym vest and the bag! You're adorable and look very fit - glad to see that in today's world :) Congrats - motivating me here a bit to get back into shape! following now! haha thanks so much! i plan to keep this lifestyle up too when I am older lol! I prefer weight lifting over pilates! Hehe, muscle to the tussle! 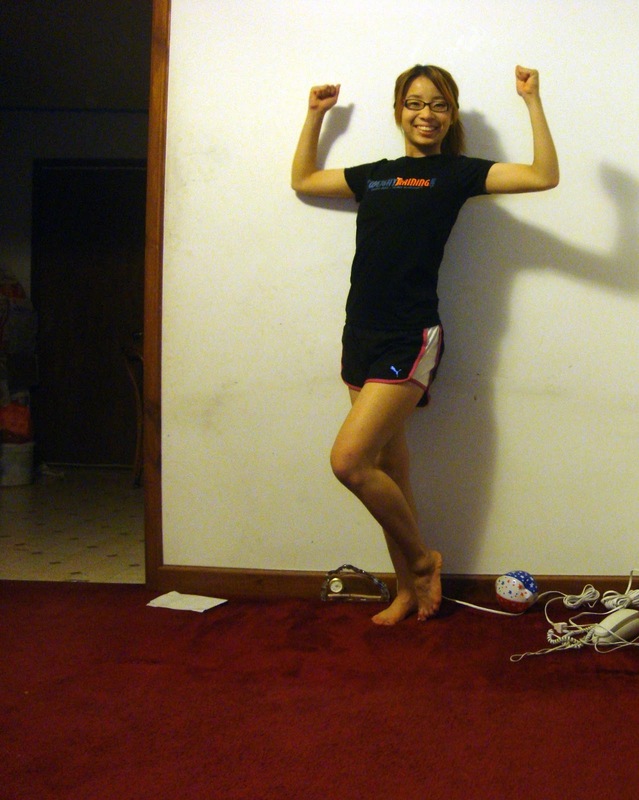 ^_~ I'm actually preparing for tough mudder at the end of the year. >__< Definitely need to build up the stamina!! ohhh!! Good luck on that! I have always wanted to do something like tough mudder, but I never tried! Wow, that gym bag is simply awesome!!!! thank you ! I am in love with it! Congratulations! I want to start working out too but I broke my foot and will take a few months to recover now :( Following you back!! !